Fountainhead offers special spaces in which to wind down, de-stress, rejuvenate and heal. In your suite you have space to take a private massage or to do your regular Yoga or Pilates on your deck overlooking the mountains or you can take a stroll to find many other places for quiet contemplation or an energizing workout in the natural environment. You can wander along a meandering path to our pavilion that nestles amongst the olive and almond trees. You can Yoga trapeze in our glass fronted Yogigym or take a sauna with fantastic views. Fountainhead also has a unique candlelit Bath House, an intimate private spa affecting all the senses where you can experience the sensation of floating in mineral rich waters containing Dead Sea salts and a blend of relaxing essential oils. 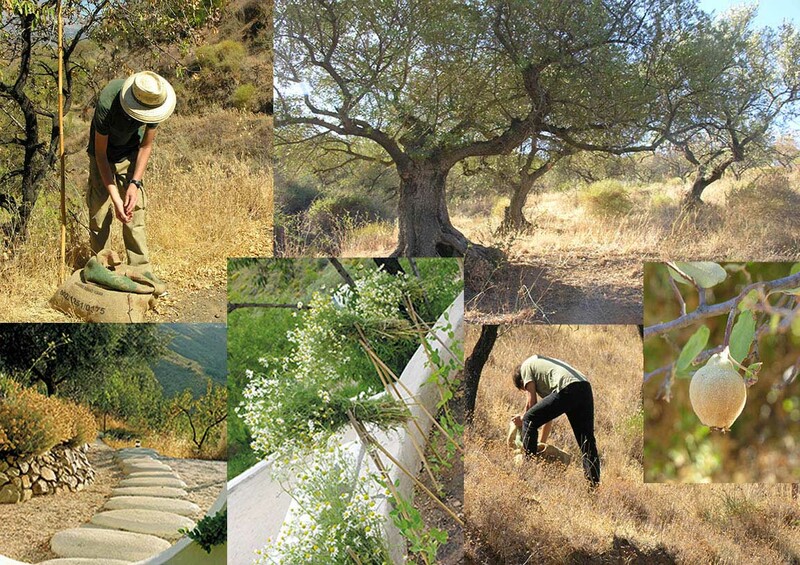 Here in wonderful surroundings we harvest our own organic almonds, olives and wild herbs for use in the Spa and to create our exclusive range of treatments. 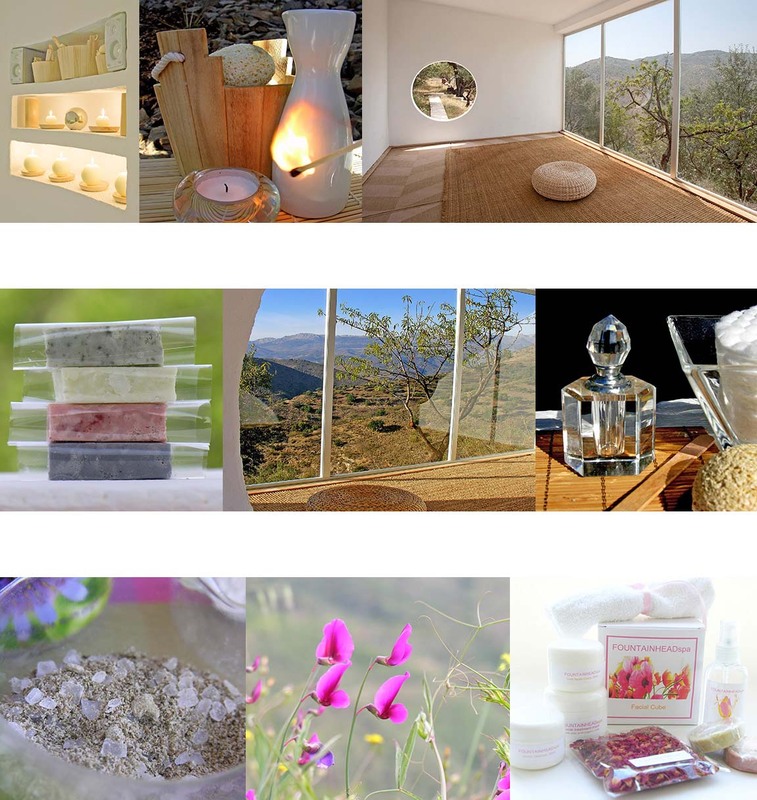 These 100% natural holistic products reflect the essence and vitality of this region of Andalusia. © FOUNTAINHEAD 2018. All rights reserved.